Jake Fishman (Blue Jays/AA/New Hampshire Fisher Cats) pitched 4.1 scoreless innings across 2 games, yielding just one hit and no walks while striking out 4 and earning his first win of the season. A warm welcome to RF Mike Spooner (Reds/A/Dayton Dragons), the newest ballplayer to be listed on Jewish Baseball News. 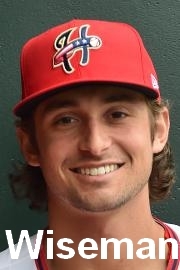 A Stetson University alum, Spooner was an undrafted free agent when Cincinnati signed him to a minor-league contract in 2018. 1B Cody Decker (Diamondbacks/AAA/Reno Aces) had quite a week. In addition to batting .308 (4-for-13) with a .438 OBP, Decker hit his 198th career minor-league home run, played in his 1,000th minor-league game, and tossed an inning of scoreless relief. C Garrett Stubbs (Astros/AAA/Round Rock Express) hit .385 (5-for-13) with an RBI, a stolen base, and a .500 OBP. P Rob Kaminsky (Indians/AA/Akron RubberDucks) pitched 3.1 scoreless innings across 2 games, yielding a hit and a walk while striking out 3. P Matthew Gorst (Red Sox/AA/Portland Sea Dogs) pitched 1.2 innings of scoreless relief on April 12, striking out one and walking zero. P Kenny Rosenberg (Rays/AA/Montgomery Biscuits) pitched 5 innings of one-run ball on April 13, yielding 4 hits and 2 walks while striking out 4. P Kenny Koplove (Rockies/A-short-season/Boise Hawks) made the most of his one-game promotion to Triple-A on April 9, yielding 2 hits and an earned run over 3 innings of relief while striking out 5. P Max Lazar (Brewers/A/Wisconsin Timber Rattlers) pitched 4 innings on April 13, yielding one earned run on 4 hits and a walk while striking out 4. P Robert Stock (Padres) was reassigned down to Triple-A (El Paso Chihuahuas). P Kenny Koplove (Rockies) was briefly assigned to Triple-A (Albuquerque Isotopes) before being reassigned to A-short season (Boise Hawks). 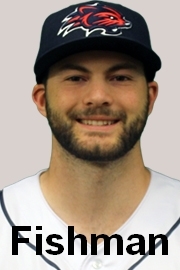 Jake Miednik (Indians) was assigned to Single-A (Lake County Captains). P Zack Weiss (Twins/AAA/Rochester Red Wings), since April 1. OF Blake Gailen (Dodgers/AAA/Oklahoma City Dodgers), since April 3. P Mitchell Osnowitz (Cardinals/High-A/Palm Beach Cardinals), since April 4.